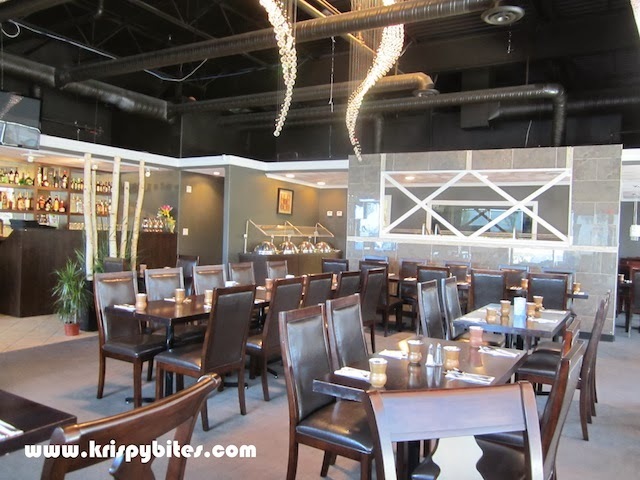 Friends is a relatively new Indian restaurant in the Ellerslie area featuring an all-you-can-eat lunch and dinner buffet. I've been there several times for the lunch buffet at $14/person. The decor is classic and elegant, with large spiralling chandeliers descending from the ceiling, creating a rather flashy centrepiece. Though as my coworker has noted out of interest, the smaller chandeliers above the tables are in fact made of plastic. I took the following picture of the salad and cold foods section on my first visit, shortly after the restaurant had opened. 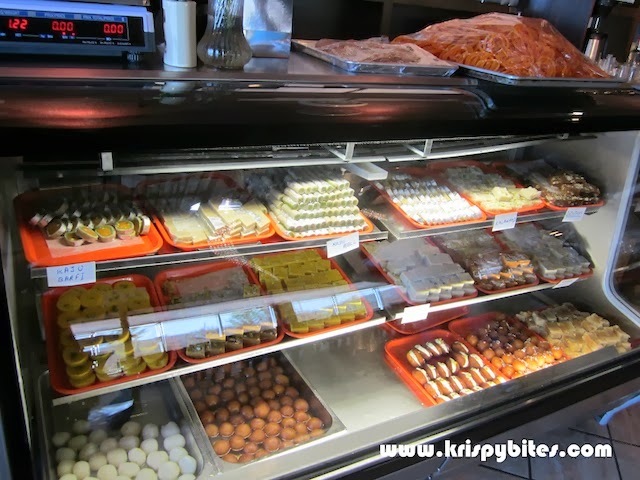 In recent visits, I've noticed that the selection has grown to completely fill up the counter. All of the hot foods were covered and clearly labelled, so I didn't bother taking a picture. I would say there were approximately 10 dishes, which is a pretty decent assortment. I especially liked the crispy vegetable fritters and creamy vegetable korma with cauliflowers. The gulab jamun, though very sweet, was also quite satisfying because it was served warm and the texture was dense and cake-like. The jalebi was no good though; the texture was chewy, and apart from sweetness, there was no flavour to it at all. The naan is what makes the difference between Friends and the nearby Zaika Indian Bistro that also serves a buffet. 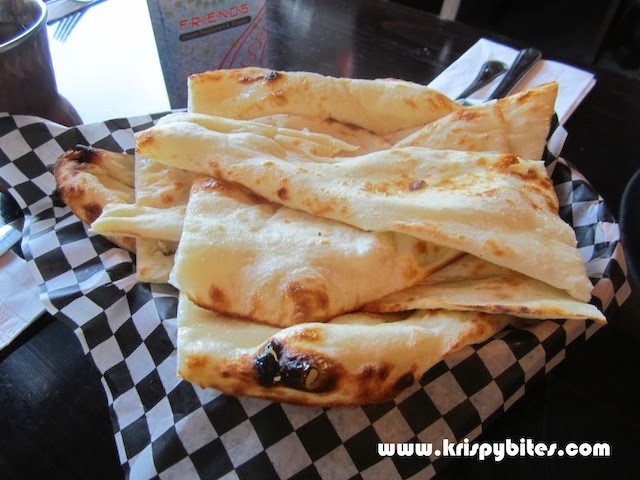 Friends makes the naan fresh to order every time. 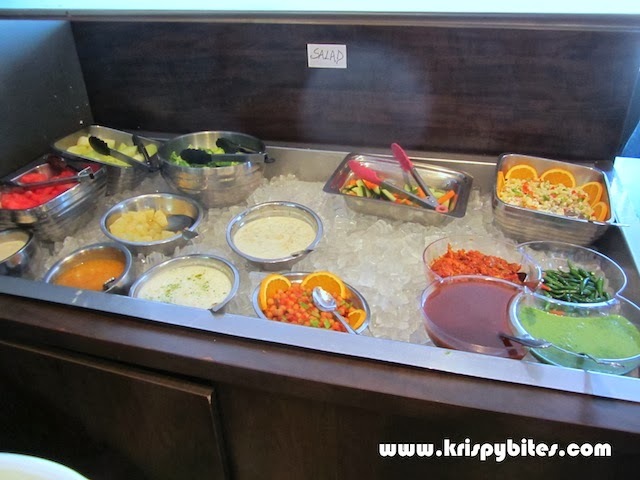 None of that cold and gummy stuff that has been left to dry out in the buffet tray. These are warm and fresh from the oven, with scrumptious fluffy layers. 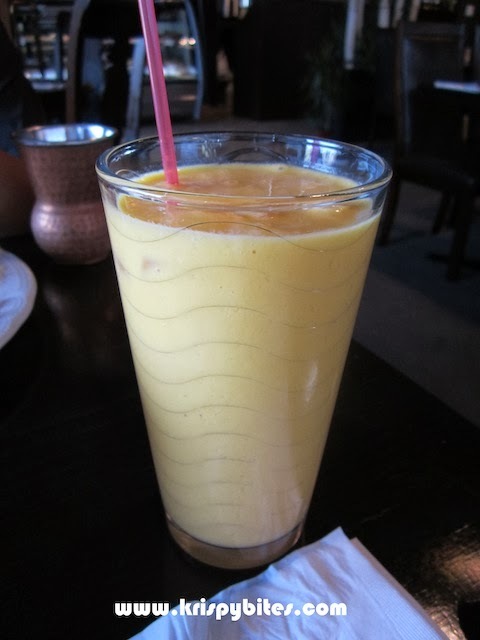 I remember thinking the mango lassi was a good-sized portion the first time I ordered it. But I think the glass was much smaller the second time I got it. Might be my memory playing tricks on me though. In any case, this lassi wasn't as creamy or intense as the one at Zaika. 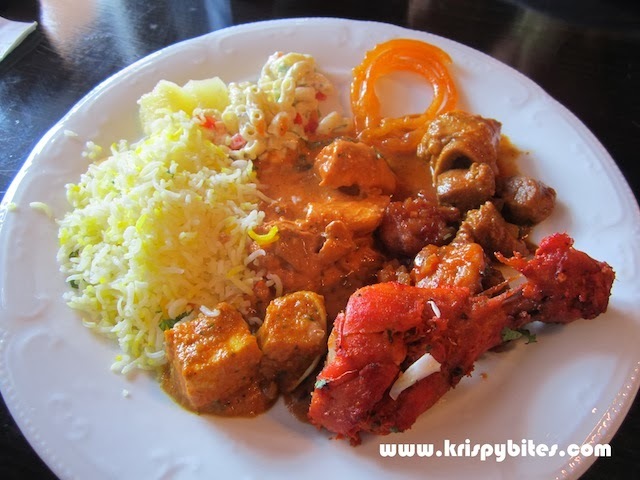 Overall this is a decent Indian buffet for a reasonable price. I brought my coworkers here with a Groupon and they all loved it. 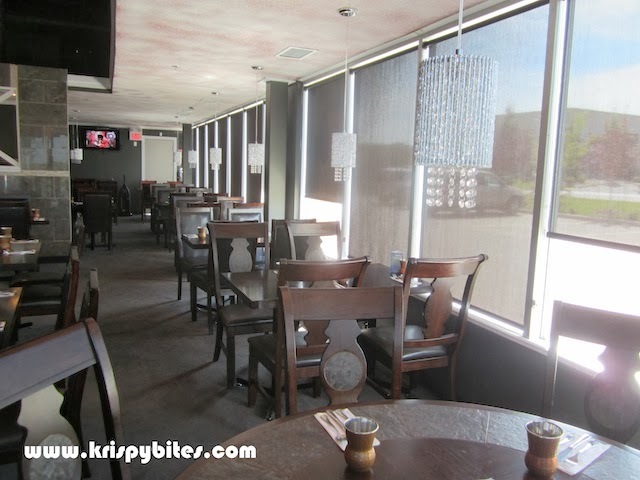 One of them even said she was surprised at the quality of the food and how much better it was compared to Zaika. Personally I don't think there's such a huge difference between the two. Friends has better naan and some of their hot dishes are amazing, but Zaika has better mango lassi and jalebi, and a more upbeat contemporary ambiance.